Love how these pork chops marinate in the lemon-garlic sauce as they thaw. 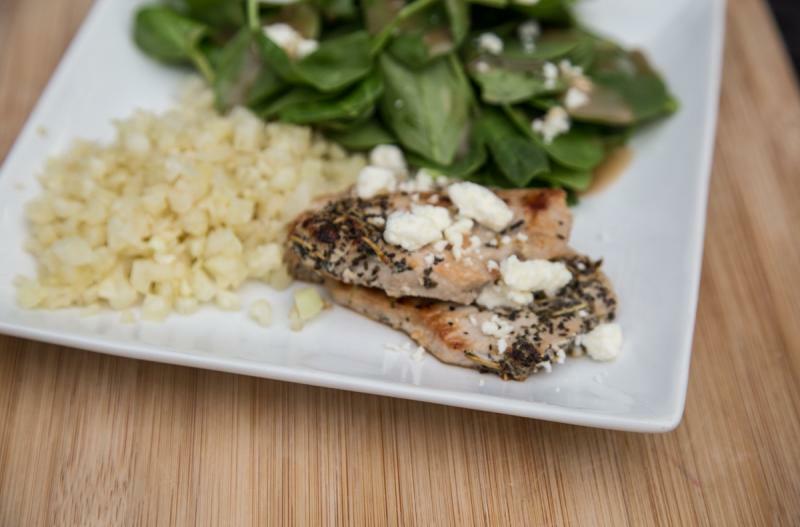 Once thawed, saute the pork chops with the marinade until they are cooked through, then top with crumbled Feta for a bit of tang and a pop of extra flavor. This might just be your new favorite pork chops recipe! In a large skillet, brown the pork chops with marinade for 2 minutes on each side. Reduce heat and simmer for 5 to 8 minutes, flipping twice, or until pork chops are cooked through. 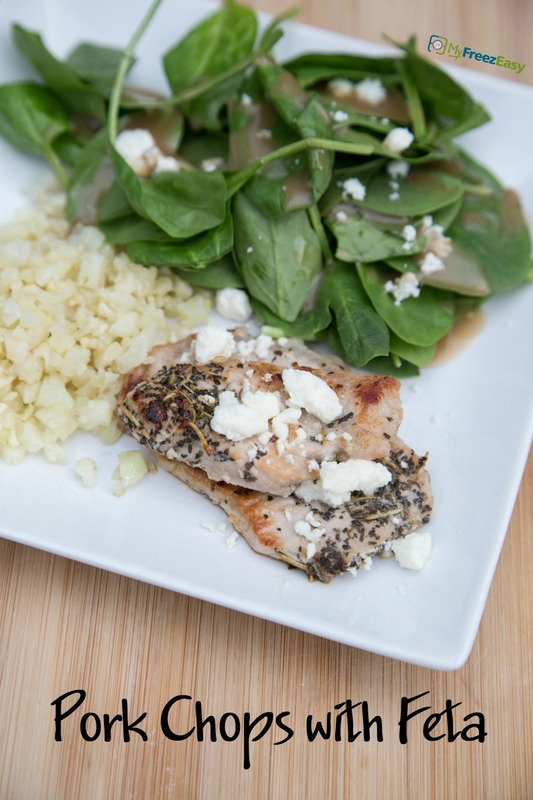 Serve Pork Chop and Feta Skillet with feta cheese garnish on each pork chop, with side salad and dinner rolls. Put baggie in the freezer and freeze up to 6 months in fridge freezer or 12 months in a deep freezer. Thaw in the fridge overnight, or a warm bowl of water for about 20 minutes, before transferring the veggies to skillet and sauteeing. Then saute the pork chops and re-add the mushrooms and onions until the pork chops are cooked through. Thaw completely. Saute veggies in the skillet. Remove the veggies, saute pork chops and then add the veggies back to skillet. Cook until cooked through.